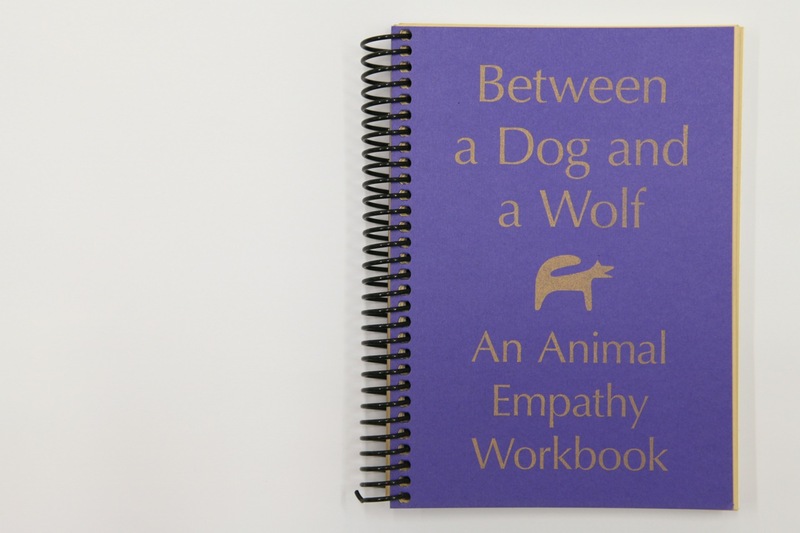 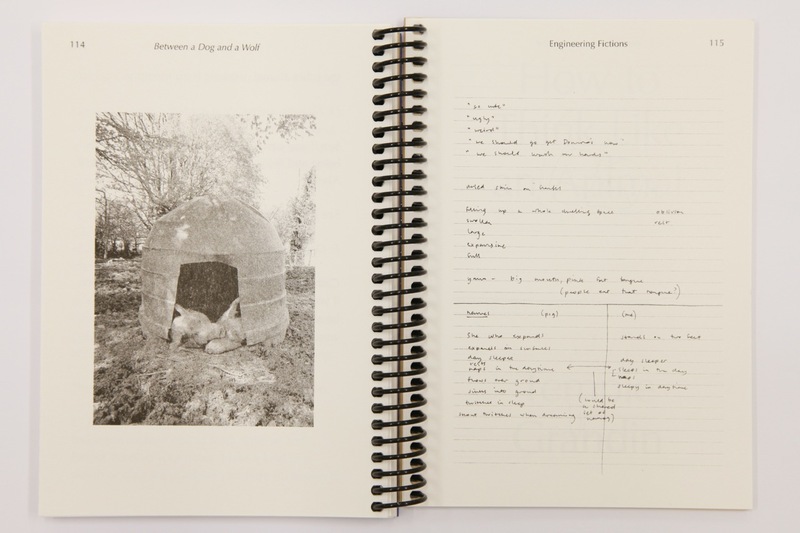 Between a Dog and a Wolf: An Animal Empathy Workbook is the culmination of a participatory public project initiated by CCA Curator (Public Programmes) and led by artist Sarah Browne. 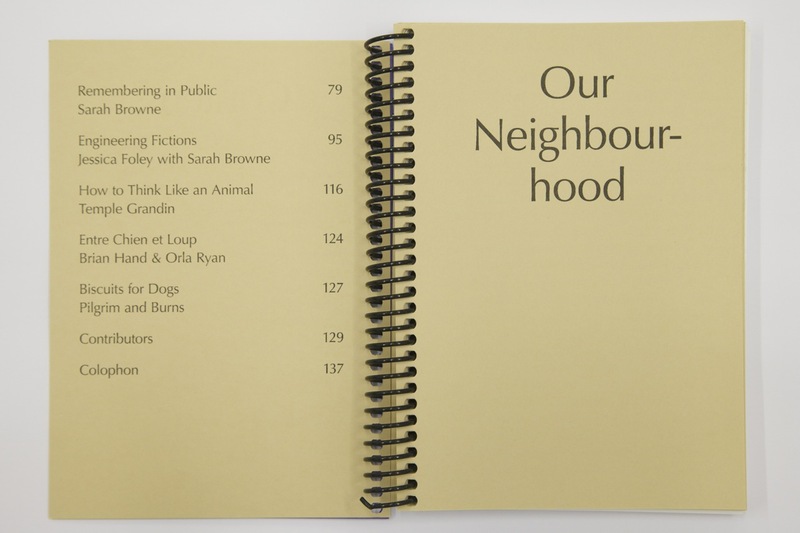 The material in this publication is the result of a 10 month progamme of workshops, screenings, talks and performances which took place at CCA, around Derry city and beyond. 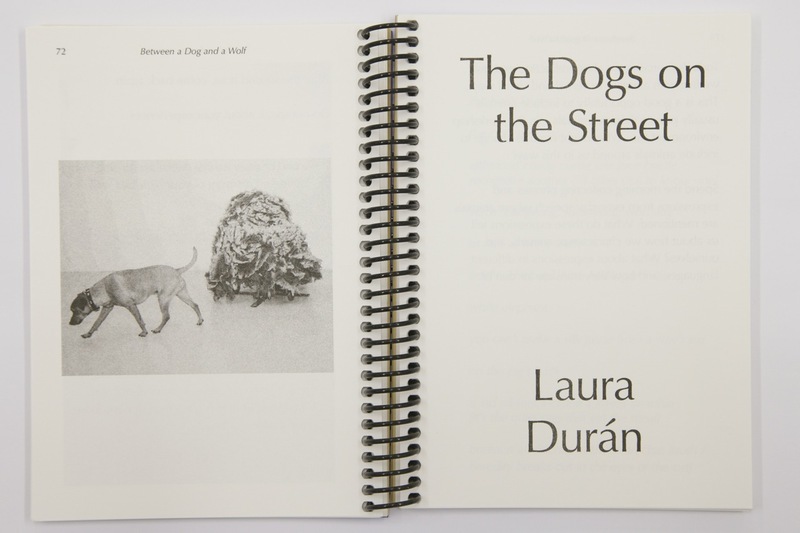 Between a Dog and a Wolf attempts to see the urban environment through a new lens by asking the question: ‘What do animals know about our neighbourhood that we don’t?’ Through an open call process a community of interest was formed, and participated over a ten-month period in workshops, screenings, talks and performances. Workshops were led by Aislinn O’Donnell, Clyde Doyle, Matt Green, Steve Batts, Laura Durán, Jessica Foley, Rory Harron and Didem Durak, centring on subjects such as philosophy, sound recording and movement practice. Through investigation of our relationships with animals in their intimate and personal dimensions, as well as the roles assigned to animals in public and political life, the group attempted to redraw boundaries around established groups and values in the city. 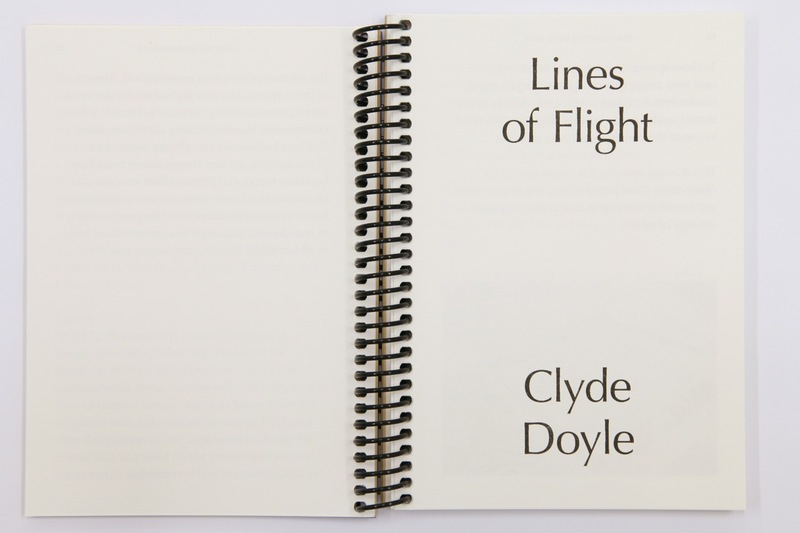 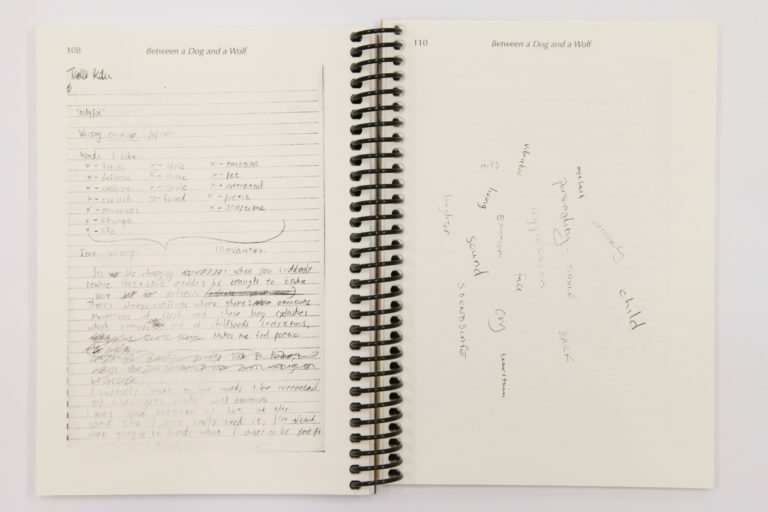 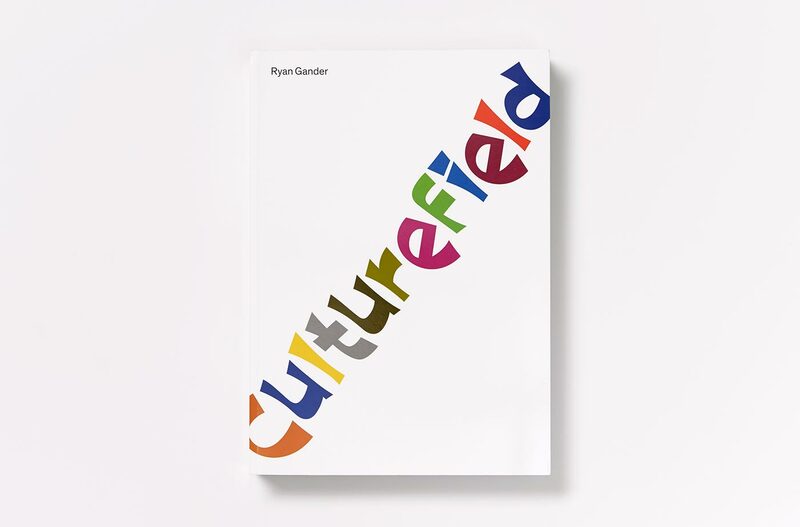 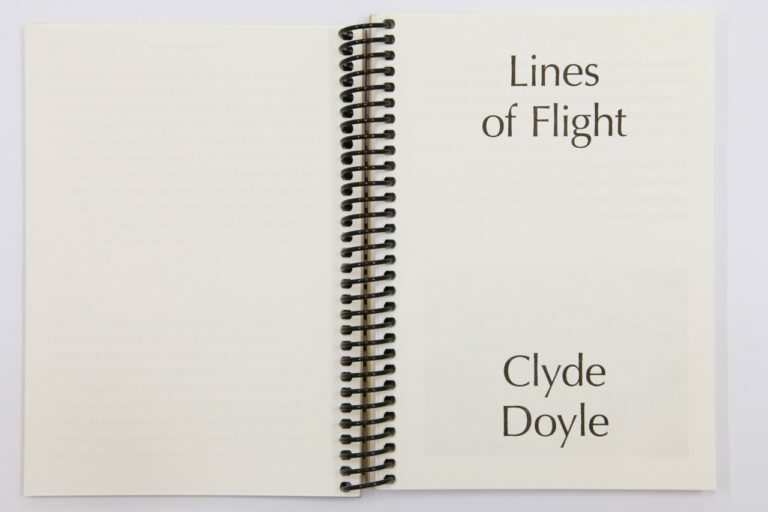 The book is laid out in an instructional format, enumerating a series of exercises and documentation from the workshops as well as critical essays. The participants in the project, during a drafting session for the publication, decided that it should be classified as ‘397 Outcast Studies’ within the Dewey Decimal system. 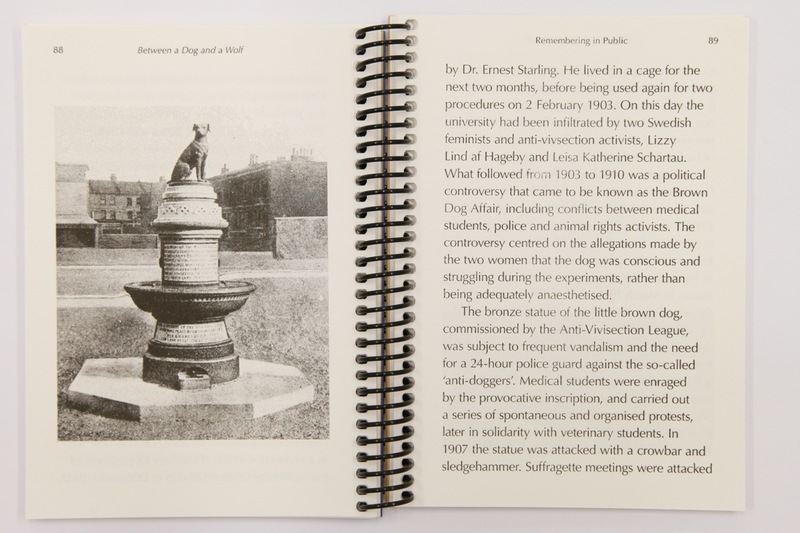 Although the ‘397 Outcast Studies’ classification is no longer used, it is befitting that it should be classified within ‘390 Customs Ettiquette and Folklore’ to which ‘Outcast Studies’ once belonged. 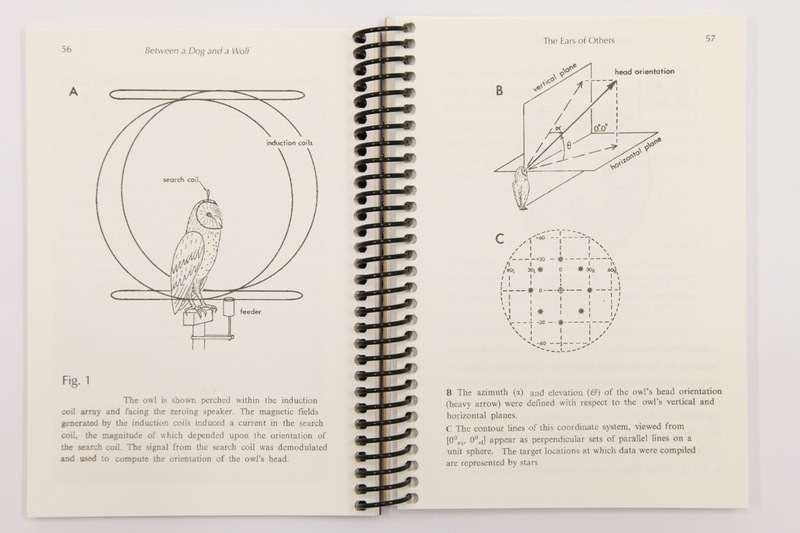 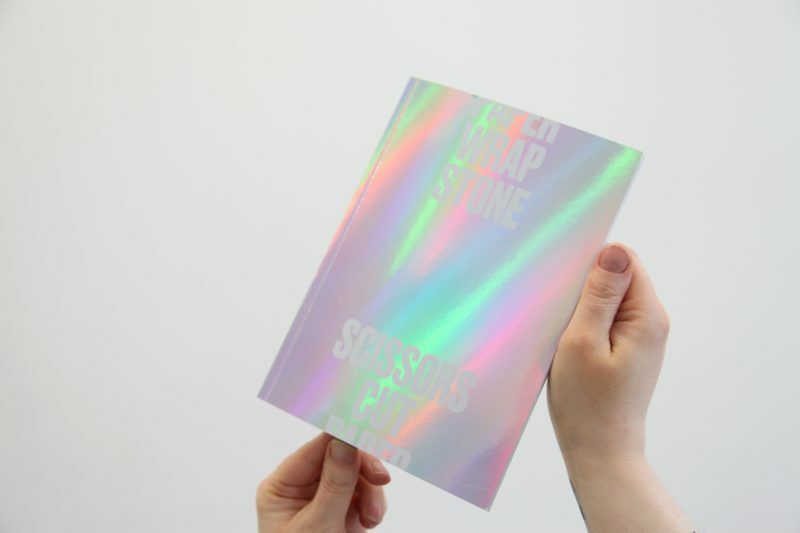 The 148-page spiral bound book was designed by Studio Hato and printed on a Risograph stencil duplicator.